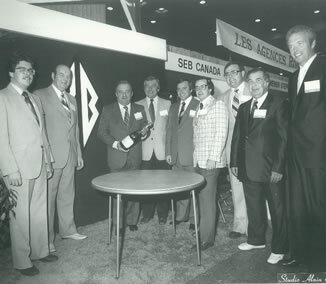 Founded in 1956 by Roger Boutin, our company is family owned. 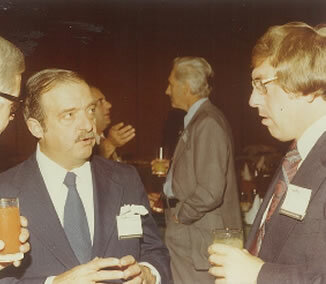 Our founder's two sons joined the company - Jean Boutin in 1973 and François Boutin in 1981. Successively, our agency created partnerships with the industry's most famous brands. Thus, we introduced Aladdin in the 70's, Weber 10 years later, Borden, Krazy glue and Seb Tefal in the 90's and Ryobi at the turn of the millenium. We later introduced Keurig, which we were proud to represent from 2005 to 2009. Today, we are working with brands such as Thermos, Wahl, Shun, Charbroil and many others. Thanks to our sustained growth, we have extended our field of expertise to other markets such as hotel distribution, object promotion and publicity, as well as food and pharmaceutical chains. The addition of a team of merchandisers in 2005, and a team of demonstrators in 2007 has allowed us to better support our clients' development strategies. The agency maintains close relations with the CHHMA (Canadian Hardware & Housewares Manufacturers Association). 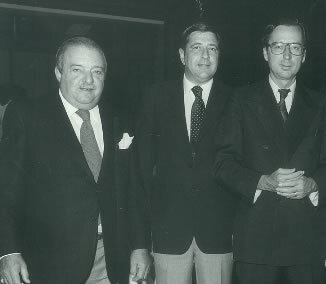 After Roger Boutin lead the association in the 80's, Jean Boutin took up the torch in 1990, and became successively director and president of the organisation. We strongly believe that by partnering with world renowned companies, we contribute to the development of regional suppliers. We are proud to represent local booming enterprises, creating new jobs.